How to get row image to move above other row element? One row it works just like the example below with the image ontop in the mobile view but beside in the desktop view. 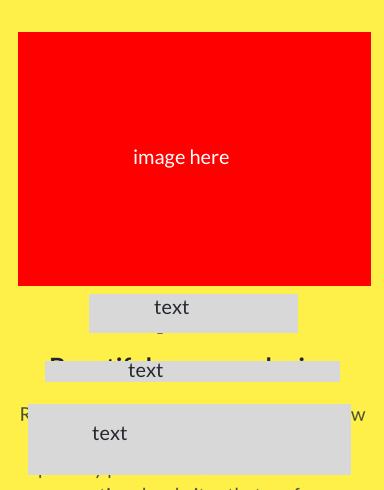 However, the second bloc with a row, the image goes below the text boxes?